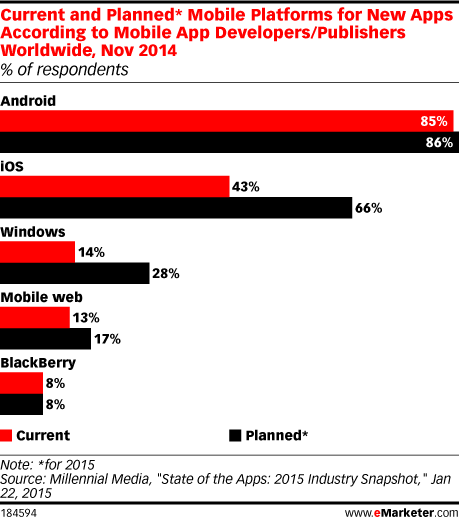 Data is from the January 2015 Millennial Media report titled "State of the Apps: 2015 Industry Snapshot." 444 mobile app developers and publishers worldwide were surveyed during September 1-November 30, 2014. An earlier survey was conducted among 351 respondents during November 1-30, 2013.